Help us help our junior students in Malaysia. Share with us your application process and interview tips for applying to world's top universities. Send in your personal experience in writing and get published here. This blog post of mines was written two years ago. Since it has captured the attention of many recently by consistently being one of the most popular post for these past few months (deadline to apply to OxBridge is coming soon), I thought it would be great to repost this here! "Do not listen to what others have predicted for you. Just because a want is difficult to achieve, doesn't mean that it's entirely impossible. The only absolute way for you to be certain that you'll never get it is if you never try, and for once, believe in yourself and stop listening to others' opinions about you (just because they found it difficult or they can't do it). What's there to lose?" Just saying. Since I got comments like "why bother applying. it's just a waste of time"
My interview was held in Malaysia and I had to pay 100 pounds for that (all worth it)! People would normally get shortlisted during this stage (though I think everyone gets the interview if they're having their interview 'overseas' like me). In Malaysia, we would have one 30 minute interview but if you would like to be interviewed in Cambridge, then it's 2-3 interviews in total I think. Some have claimed that it's easier to enter if you go to UK because you'll personally see your tutor/decision maker and not the medium/messenger. But I'm not going to take my risk, because it's only under the assumption that a messenger reporting your interview would reduce your chances of admission. They are still the "Cambridge fellas" anyway. Oh, I've made an open application (despite the myths that it's harder to get accepted this way) because I want to avoid being asked why I want that college during the interview xD Haha I'm so so lame. 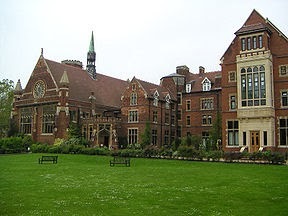 I think I almost applied to Homerton College though. Because it looks pretty and stuff. But Cambridge is beautiful full stop. Since I've applied for Chemical Engineering, I was required to take a Thinking Skills Assessment (TSA) on a separate day from my interview (which is a day or so after). It's a one hour paper consisting of 50 questions. I had a 76% or 78% for the mock test (which is available online) and was pretty satisfied with it, till I know of a friend who got a 86% for it T_T I don't think this is significantly important too because some colleges don't even bother about your TSA. And we don't get to know our actual TSA results. But since I'm an overseas applicant being interviewed in Malaysia....I really don't know, for it's made compulsory regardless of the college I'm allocated to. Also, since I'll be interviewed in Malaysia, I was required to write a 30 minute essay (written assessment) in place of a second/third interview. Then came (actually this was before my TSA and written test) the notorious Oxbridge interview: what everyone has been talking about since I entered college. Unlike other interviews, an Oxbridge interview involves a lot of technical questions and doesn't bother much about your life and eca. Familiar with Taylor's College (I graduated there so duh! ), I involuntarily wore a turtle neck t-shirt, jeans, and a pair of snickers. I thought that was okay, because based on the sample interview video in Emmanuel College's website (the one for Chemistry), I saw that the boy was wearing t-shirt and jeans.. so I thought it was okay here too...........The look on my face when I noticed that EVERYONE was wearing (I only saw guys...engineering ==) a suit!!! WITH A TIE!! !AND I WAS WEARING A T-SHIRT AND THREE QUARTER JEANSSSS Got so embarrassed I felt so....it looked as if the Cambridge interview didn't matter at all to me -_- (but it really really did!). I had my interview in a really quiet meeting room (pin drop silence kind of quiet). It was bad enough that I could hear myself breathing, the chair was so big and I was sitting at the very end of the long table! And he was next to me! It felt nothing like my casual chat in Starbucks for my MIT interview (got gobsmacked when I heard someone brought an invention in his interview). In fact, the one for MIT lasted for an hour till I had a really bad stomachache after that (from talking while drinking). Still, 30 minutes was just too fast. Side note: Mock interview was kind of helpful. Based on experience in an Oxbridge interview, I would say that I am generally lucky to not get creepy questions like "talk about a banana" and "how is snow formed?" (true story, friend who applied for medicine in Oxford got these questions). There are many more really awkward questions but I don't know if I'm allowed to tell them all here without formal approvals. So I'll just let that be. There isn't any standard/general model of a Cambridge interview too because some have claimed that theirs were strictly A levels, and some totally awkward (not even course-related I was shocked!). In summary, we can't really prepare much for it because based on my opinion, the questions are devised in such a way that last minute preparations will not be that helpful anyway. I've prepared random questions after re-reading my personal statement (because some have been asked based on that) and general questions like "why Cambridge?" Anyway, the questions that I got are not strictly based on A levels. I would generally feel that it has nothing to do with it. Why? I was given random mathematical equations and was asked to draw them out. I was also asked to interpret the graphs he drew. There are many more questions that are pretty surprising (as in, one wouldn't expect to even think of such a question). I had 3 "long" questions in total which was a combination of maths and chem (but everything included a lot of critical thinking). I had spent most of my time 'problem-solving' them on the spot. The interviewer had helped me along the way too, i.e when I got stuck during the 'deduction process.' Although 3 questions seem to be short, I'd spent most of my time "developing my thoughts" so it's something like I'm "learning on the spot." Note: during my application process is actually the time when I really got to know Cambridge. I didn't know they frequently have formal halls which includes wearing robes (so Harry Potter!) and the colleges are just places where you eat and sleep. You'll be studying with everyone from your course and have personal tutors from your college. And I got asked a couple of times if the Cambridge is in the UK or US, because the US Cambridge is in New England, which is where Harvard and MIT is (yes harvard and mit is in cambridge). So yeah, UK or US, WHO CARES! 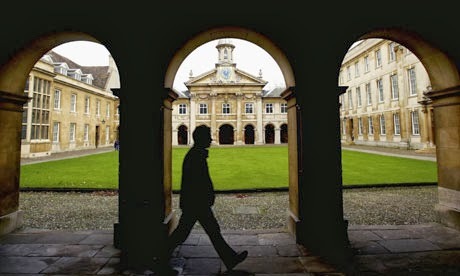 The England Cambridge is in Cambridgeshire to be more specific (like Oxford in Oxfordshire). The US's Cambridge is in Massachusetts (MA). Want to know a dirty little secret? I didn't know what was MIT, KCL, LSE, Imperial, UCL, etc till I entered college (but I know about harvard, cambridge, and oxford since primary school). Nor do I think that it's even possible for me to meet people who've actually attended Oxbridge and the like. I am Sean, a 15 year old student from Malacca. 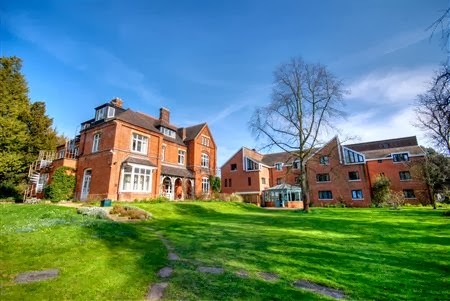 I just read your blog post about applying to Cambridge from Malaysia. I find your post inspirational and interesting. 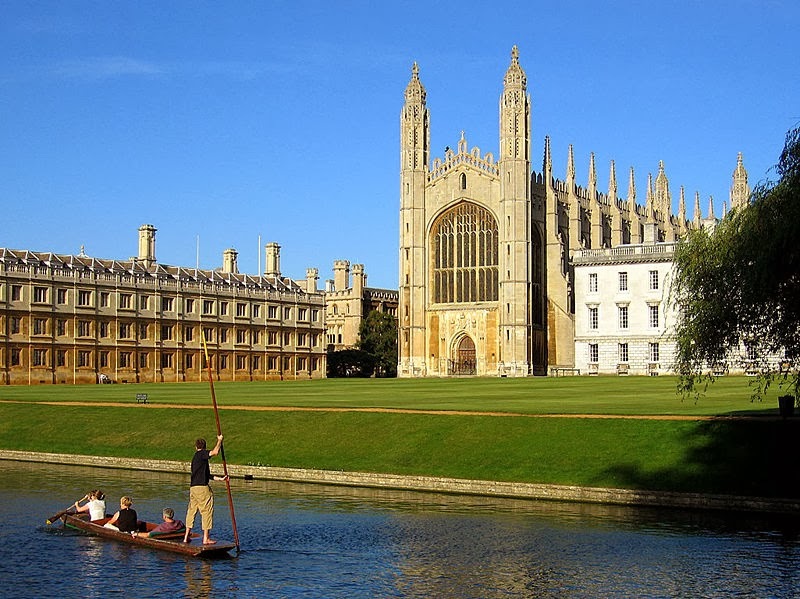 In the future, I really wish to go to Cambridge to further my studies in finance and mathematics. Thus, I would like to ask for some of your advice on what should I do to achieve that goal. For example, what is pathway to Cambridge after SPM? What grades should I try to obtain in future exams? Does co-curricular activities help in application? I would appreciate any advice that you have for me. 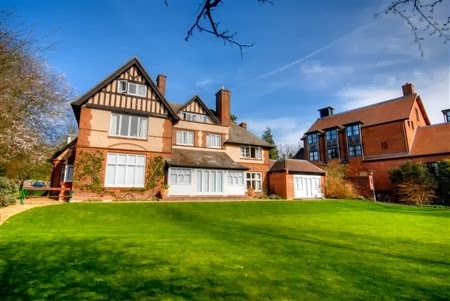 To be honest, applying to further your studies at Cambridge isn't an easy feat at all. I've personally encountered some of my ex-schoolmate who achieved flying colors for their spm, not to mention some of them were best student of the year and the most they could apply is Nottingham university in Malaysia. So far, none of them are successful in entering Cambridge at all. If you're really dead set to study at Cambridge, I guess the only way is for you to have some sort of innate talent in studying or if you're a prodigy with high iq otherwise the chances of you getting accepted is pretty low. I'm not trying to be rude here. I'm just tell if you straight forward on what to expect. Go to Cambridge's official website and find out their requirements. what do u mean when u say oxford has a general engineering route? whats the difference? Hi.. 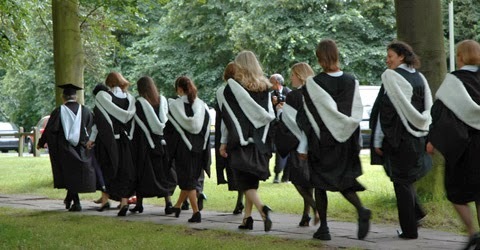 I want to explore the phd course offers by Cambridge University...any guide?